That’s what we’re attempting this weekend!! Two quilters, one weekend, and four quilts… It will be fantastic if our schedules allow us to pull it off. Trying to get some of these other projects out the door lately has been like trying to run through mud… I don’t know what the deal is, but I’ve been struggling to stay on task and get everything done that needs to be done. I heard a line from a movie that went something like “all forward motion counts”. That is what I am sticking with for now. I may not be happy with what I’m doing, or the time I’m taking to do it but believe it is important that I’m accomplishing what needs to be done to get to what I really want to be working on. This is not to say that I do not enjoy these other tasks. Two of the quilts we’ll be making are pinwheel quilts that we found in the soon to be replaced issue of the magazine “Fast Quilts”. The other two quilts are VERY basic and I’ll provide the information for those quilts after the weekend. Basically, the second two are big squares and smaller squares and we’re calling the quilts “Purple Explosions”. It should be fun and very quick to make. We’re picking up the last of the fabric tomorrow night… I’m so excited!! can’t wait to see the finished quilts! good luck finding time for all of them! It is going to be difficult, but we’re dedicated to finishing them!! fingers crossed…. 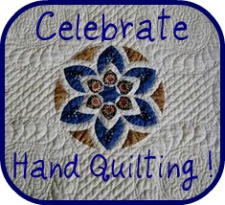 good luck, can’t wait to see the quilts! It really helps me focus knowing what I want to accomplish. Kay and I are fairly successful when we do something like this. The most important thing we’ve found is to make it insanely fun. We are having a music day and then a Christmas movie marathon day for the two days we’re doing this. We also plan veggie snack trays, chips & Salsa, and stuff like that.